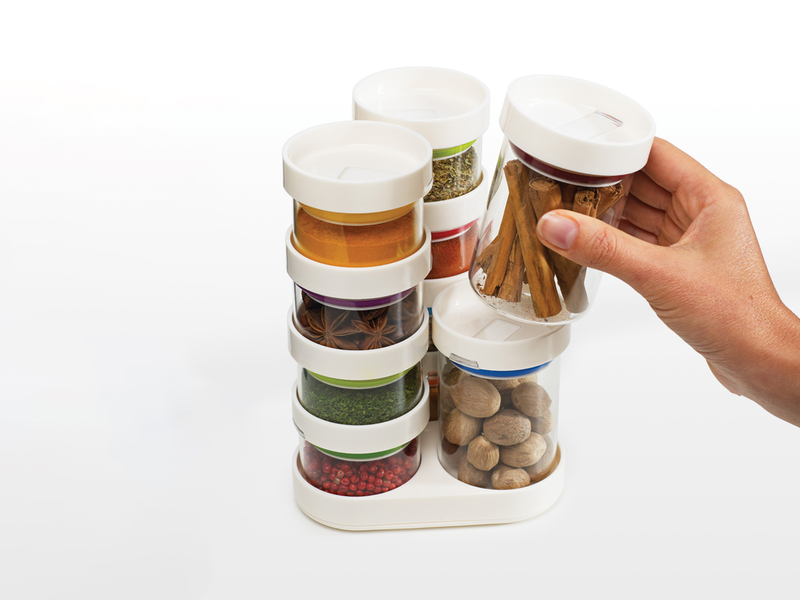 Our new design for kitchen storage sets comprise individual glass jars of various sizes that all stack neatly together on their own rotating carousels. FoodStore™ is a set of 6 large jars perfect for storing dry foods such as tea, coffee, pasta and beans, whereas SpiceStore™ is a set of 10 small jars which are ideal for storing whole and ground spices. Made from tough borosilicate glass, all jars have stack-able airtight lids that help keep food fresher for longer. Also each carousel has a non-slip base and a smooth, rotating mechanism, making every jar easily accessible. Both units fit neatly onto a kitchen worktop or inside a cupboard.